Even though, it’s one of the toughest materials to install in your kitchen, granite requires special care and attention. There are variations in the stone, which give this material a unique appeal. Considering the granite countertops cost a lot of money, homeowners what their counters to look spotless. They improve the look of the entire kitchen, regardless of state of your appliances. So, let’s look at some of the things you can do, to make your granite countertops beautiful and shiny again. Natural stone is used to make granite countertops, so each of them is specific. This material is relatively resilient and for that reason numerous companies seal the slab before they make a shipment. However, to secure the counter, you should reapply the sealant from time to time. For instance, factory sealants are quite durable and can last for decades, depending on use. If you aren’t sure whether you need to reapply a sealant, then make a water bead test. Put a couple of drops of water on granite surface and if it beads up, then your counter is secured. You can clean your counter by making a simple solution. Mix warm water and dish soap and make sure that soap doesn’t contain components similar to citrus or lemon acid. Then, use a soft cloth to clean your granite surface with this mixture. You should rinse the fabric from time to time while you are repeating this process. Once you are finished with the cleaning, use a dry cloth to dry the counters completely. If you leave water for you long, it will stain the granite countertop. Depending on the size of the surface, you want to complete this process as fast as possible. Additionally, you can polish your countertops daily by using a dry microfiber cloth. 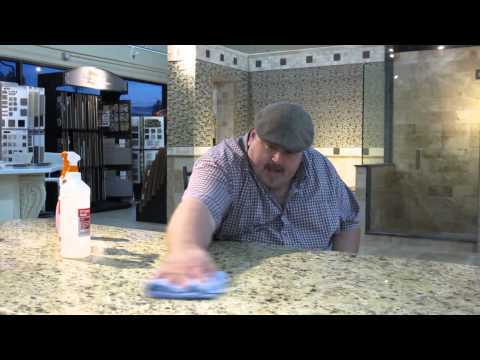 Some people apply a granite polish to make their counters look spotless. Since this is the biggest working surface in your kitchen, it requires proper disinfecting. Granite counters are often exposed to bacteria, especially if you are preparing the meals and washing the dishes all the time. But, to keep things under control, you should periodically disinfect your granite countertops. Make a mixture of water and 91% isopropyl alcohol in proportion of 50:50. For this purpose it’s best to use a spray bottle. Apply the solution onto the granite and let it sit for five minutes. Use a warm water and dry cloth to remove the residue. For cleaning purpose avoid ammonia, bleach, scour pads, or any aggressive cleaners, which can damage the countertop. Whenever you are working on granite surface, make sure to use placemats, cutting boards, or coaters. It will help you prevent food stains. 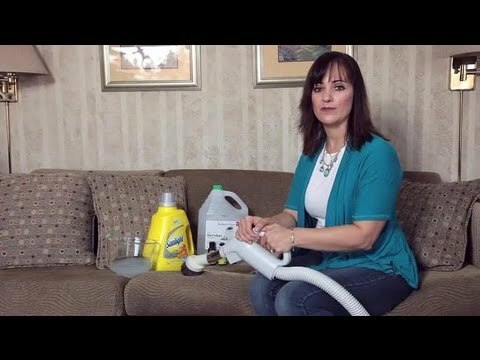 For everyday cleaning you don’t have to buy granite cleaners. You can if you want, but it’s a waste of time and money. Using the soap and water will do the trick.